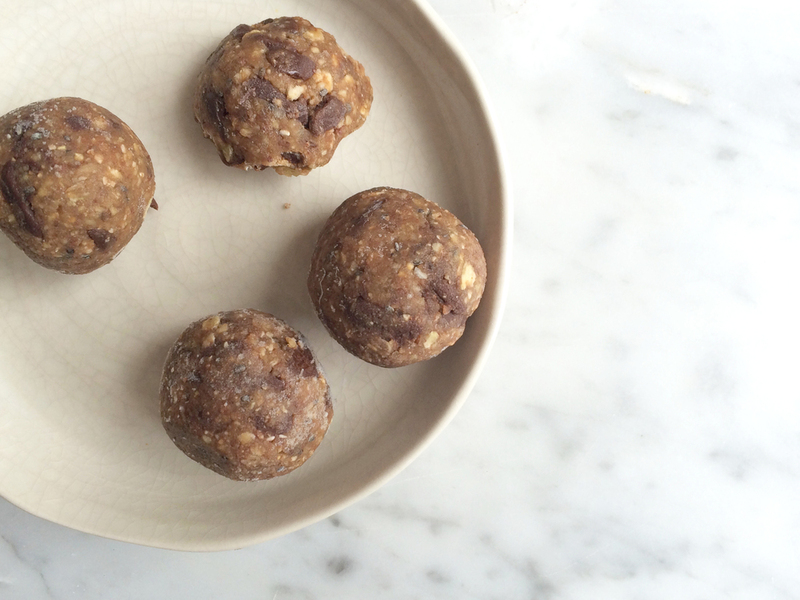 The recipe for these raw shortbreads came about quite accidentally. I was going through the stages of making Raw Caramel Shortbreads and got as far as step two, when I realised how good step one tasted solo. I scrambled the mixture out of the baking tin and chopped the raw biscuit base into fingers resemblant of the traditional tea-time favourites. Despite having a buttery biscuit base (did I steal that from somewhere? ), these biscuits are set in the freezer, instead of baked. If you're used to conventional biscuits you probably can't even begin to imagine how these must taste. But let me assure you; these biscuits are more melt-in-the mouth than a Rich Tea, any day. They are incredibly moreish, cleverly crafted and, simply put, very, very nice indeed. No matter how hungry or fed I am, each bite - even the tiniest nibble - is a thrill that never loses its charge. Once set in the freezer to stiffen, these biscuits have almost exactly the same texture as a normal shortbread, just a little less crumbly. They are like a cross between shortbread and fudge - a winning combination if ever I came across one. Simply add all of the ingredients to a high speed blender. The speed and power of your blender is really important for this recipe, as the biscuit tastes so much better smooth. 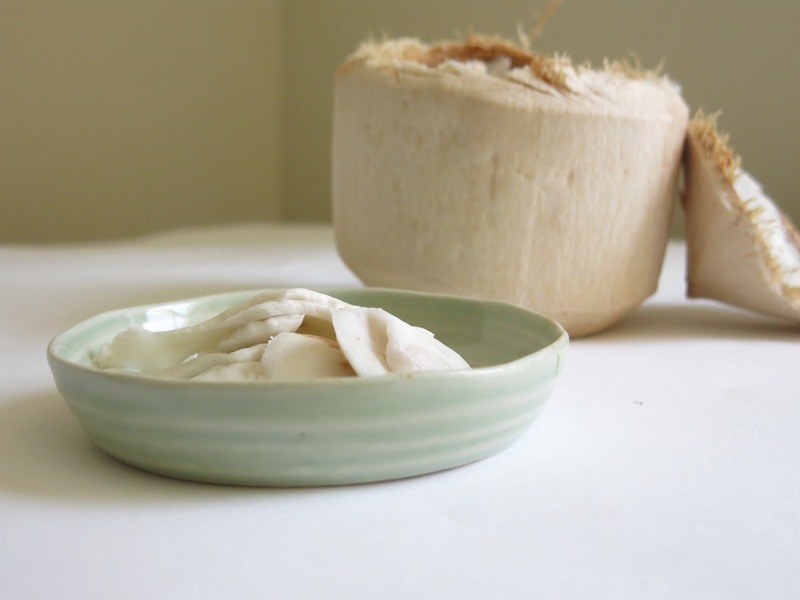 + Experiment with flavours such as solid coconut milk or creamed coconut, for a clotted cream variation. + For a raw choc chip cookie, simply add cacao nibs or chunks of raw chocolate to the mixture, and form into flat discs instead of shortbread fingers. For a dehydrated version, click here. + serve with homemade cashew cream, runny coconut cream or coconut and ginger whip. + Try my raw caramel millionaire shortbreads. A while ago I made healthy caramel shortbreads. I don’t know how it came about, but it did. 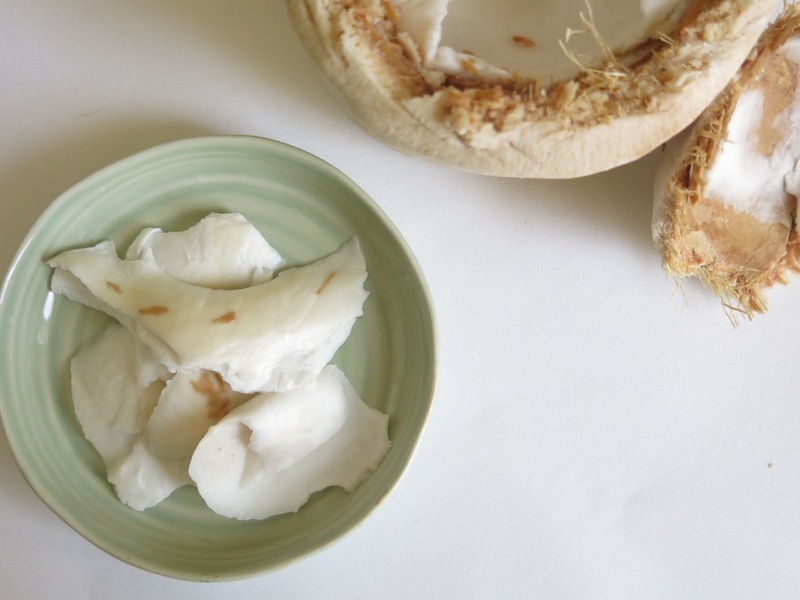 One of my favourite snacks miraculously made into a concentrated form of promising nutrients(!?). For me, that recipe was a little long winded and the caramel had to reach just the right temperature in order to set perfectly. The beauty of raw desserts is that the preparation takes hardly any time at all, and instead of having to monitor the cooking process carefully, it requires only a blender and a freezer, and very little devotion of time or effort. This recipe is much simpler, much quicker and, in my opinion, maybe even tastier. Free from gluten, grains, dairy and refined sugar, I guarantee you can feed this to anyone and they’d be easily convinced that it was bad for you and incredibly naughty. 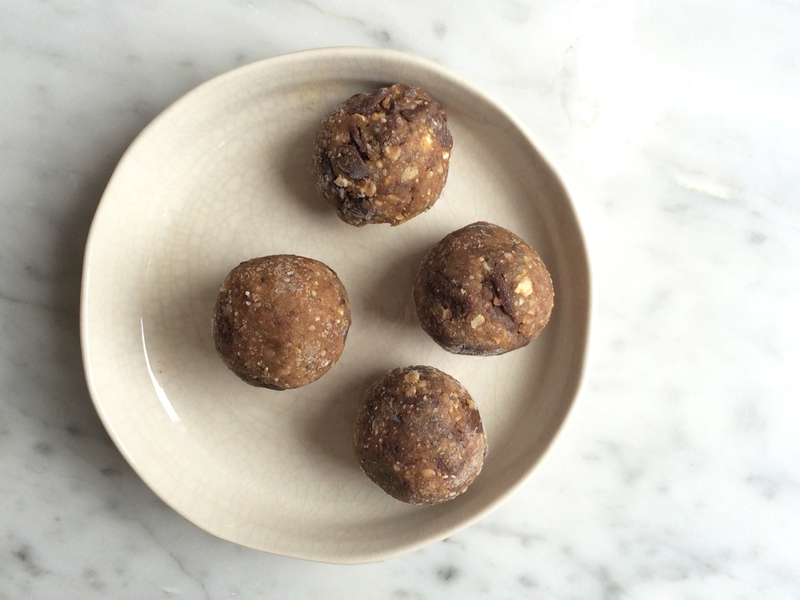 With a layer of protein rich nuts high in healthy fats, a filling of dried fruit and nutritious coconut oil, and a topping of cacao - one of the purest super foods high in natural, sustainable energy - these are perfect snacks any time of the day. Totally acceptable for breakfast, a perfect yet gentle pick me up for the afternoon, and a brilliant treat in the evening to satisfy any sudden, post-dinner sweet cravings. + Try alternative raw caramels like Apricot Caramel and Quick Almond Caramel. 1 Teaspoon/Tablespoon Agave or Coconut Blossom Nectar (again, optional if you like things sweeter). Grease a dish with coconut oil then set aside. 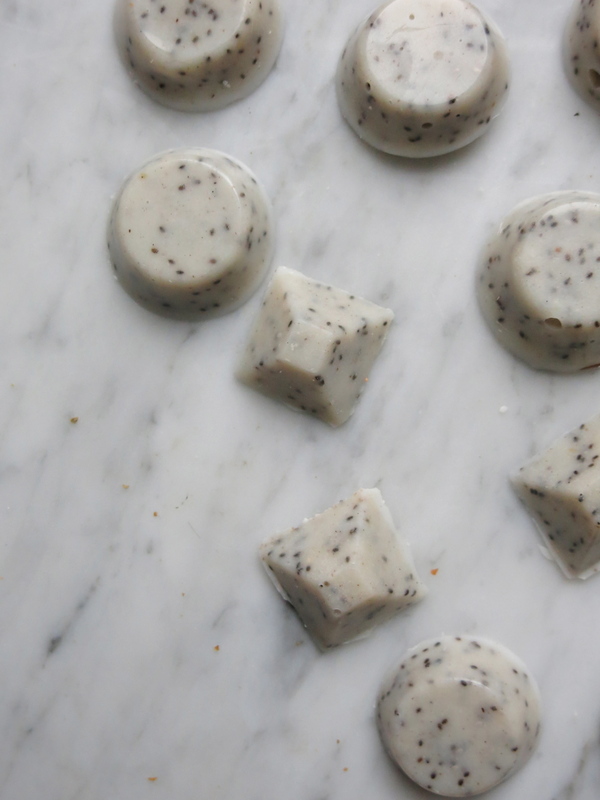 Although you’re not cooking the biscuit, raw desserts still have a tendency to stick sometimes. Alternatively, you can line your dish with baking paper. + I chose to do mine in a rectangle baking tray, and then cut them into individual bars. You could also use small ramekins for this recipe if you have guests for dinner. Or you could use a muffin tray, to make perfectly formed individual ones. Start with the shortbread layer. Add the cashews, coconut oil, tahini, vanilla, salt and agave to a blender. Blend for 2 minutes and then add the desiccated coconut and ground almonds. Scrape down the sides and then blend for another minute or so. Adjust the speed to help get things moving. Stir again, and blend for a final time, until the mixture if becoming really smooth. It should resemble a very thin cookie dough. It won’t hold its shape in a ball like normal cookie mixture, but it should be a thick paste, and shouldn’t be runny. + You could experiment with a cooked base for this recipe too. You could either use a mixture of toasted nuts, although it wouldn’t be as smooth, or you can use the biscuit base from this recipe. Scrape into your dish and spread the mixture along the base. Using a spatula or the back of a spoon, make sure you press the mixture down as firmly as possible, making it compact. If it isn’t compact, it won’t set properly and may crumble. Once the entire base of the dish is covered evenly, place in the freezer to set. It should take about 1-2 hours to become really crunchy like a normal biscuit, but you can carry on adding the other layers even if it isn’t completely firm. For the caramel, start by blending the dates and water. When the dates are completely broken down and a liquidy paste is forming, add the remaining ingredients. Blend on a high speed for 2-3 minutes to ensure you get the smoothest caramel possible. Pour the caramel onto the shortbread layer then return to the freezer. You can let the date layer set for a couple of hours until it becomes tougher and chewier, or you can add the chocolate straight away. Just be careful not to spread the chocolate together with the caramel or you won’t get all three layers properly. For the chocolate, simply heat the coconut oil in a pan until it is melted, whisk in the salt, coconut milk (if using) and agave, or sweetener of choice, and pour over the caramel layer. You can either leave it like this, or you can create a marble effect like mine. Simply melt together the Milk Chocolate ingredients, pour gently over the raw chocolate layer whilst it is still wet, and use the end of a fork or spoon to gently intwine the two shades of chocolate. Set in the freezer for 2-3 hours at least. I prefer these really crunchy, so i leave them for about 6 hours. 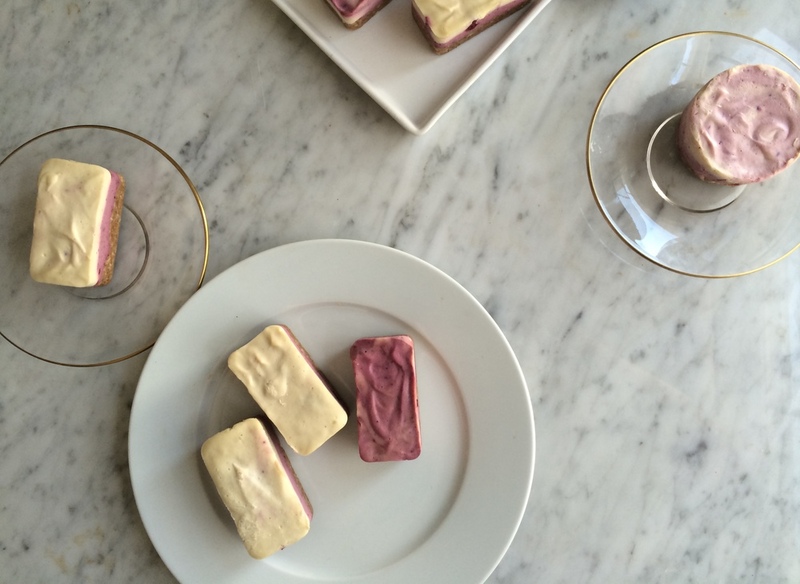 When they are ready, gently cut into rectangles and enjoy. + Store in the freezer, as the base may soften if you leave them in the fridge. One of the best things about living healthily by eating natural, nourishing foods is that chocolate is not only acceptable, it's encouraged. Baked cheesecake was never something i made much of a fuss about. 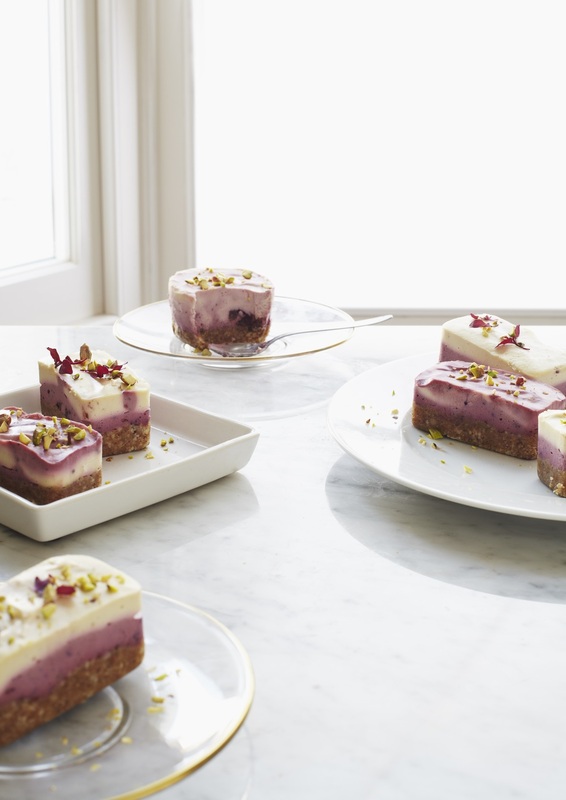 Fridge-set cheesecake on the other hand… now we’re talking. Theres just something about cream cheese mixed with sugar. Its so wrong yet so, so right and combined with a crunchy gingernut or digestive base - I’m weak at the knees just thinking about it. These days, with dairy, sugar and gluten no longer part of my diet, i rarely crave a slice of cheesecake. I also rarely opt for the fruit flavour on the dessert menu, not because of the fructose but because vanilla, chocolate and caramel will always have one up in my opinion. Lemon, however, is an exception. When i first discovered lemon curd as a 7 year old, i couldn’t get enough of it and loved the confusion of its sweet yet sour taste. Citrus flavours and creamy flavours create a perfectly balanced taste sensation when combined together. So, to celebrate the first week of Spring in London, i decided to recreate these flavours using healthy, natural ingredients. I wanted to use fresh, fruity flavours that reminded me of summer. The cashews, avocado and coconut milk make this cheesecake creamy and the fresh lemon combined with organic rose extract makes it vibrant and refreshing. This “cheesecake” honestly turned out better than i thought it would. It tastes just as good if not better than a conventional cheesecake, and comes without the side effects of dairy, gluten and sugar. It is also pretty easy and quick to make - you could call it a Smoothie Cheesecake as you rely heavily on your blender for most of it. Also, with no baking required, once you’re done making the mixture you just leave the hard work to the freezer. 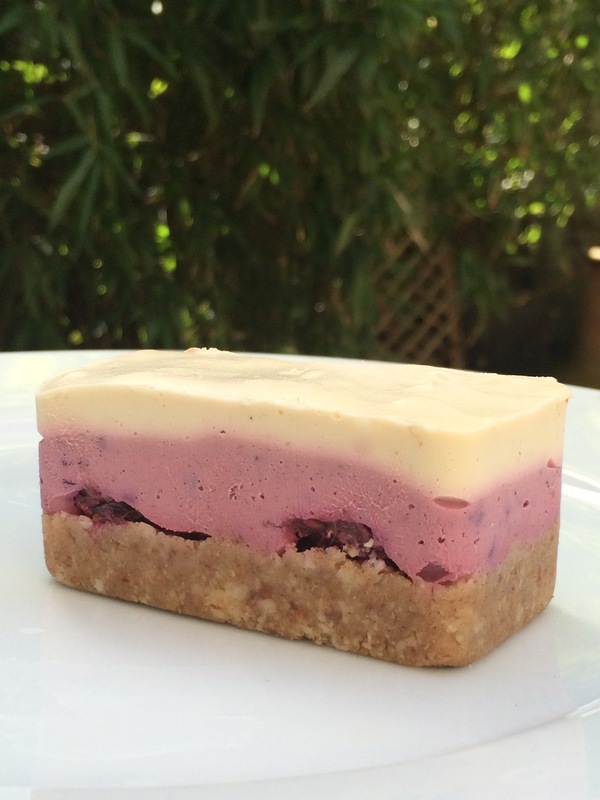 As it is raw and doesn’t require baking, this cheesecake keeps hold of all its nutrients, vitamins and minerals without destroying anything, making it incredibly nutritious. It makes a perfect dessert but i also think it is more than acceptable to have for breakfast. It is full of healthy fats, protein, long-lasting sources of energy, fibre and antioxidants and is also incredibly alkalising. You could even leave the base for another time and make the filling as you would a smoothie or a cashew pudding. Stir through some soaked chia seeds or serve as a smoothie bowl topped with nuts, seeds and clean granola/muesli. Place the ingredients in a blender and blend on high speed for 2-3 minutes. Scrape down the sides and the bottom of the blender if it isn’t combining properly, and blend several times until the mixture is pretty much smooth. once combined, scrape into a tart or cake tin or mini tart tins and spread along the bottom. Press down until the mixture is compact. You can spread it up the side of your tin depending on the shape or it if you want a side crust too. set in the fridge. Place the cashews, lemon juice, avocado, agave, rose, vanilla and coconut milk into a clean blender. Melt the cacao butter in a heat proof bowl over a saucepan of boiling water. Once fully melted, add this to the blender and blend for 2-3 minutes. You may need to stir to encourage the mixture. Blend until fully smooth and pour this over you prepared base(s). Spread evenly over the base and set in the freezer for about 30 minutes to an hour. It should be almost entirely solid when you remove it, and if it seems too solid, remove from the freezer and store in the fridge to soften before serving. You can omit the beetroot powder from the base or substitute it for cacao if you want to experiment with different cheesecake flavours. I love mixing the base with cacao for a Raw Cacao Torte or a Vanilla Choc Chip Cheesecake. Blend, pour onto base then freeze. Heat all the ingredients in a pan. Bring to the boil and whisk like this for 2-3 minutes. Reduce the heat then simmer for 10-15 minutes, whisking constantly. Transfer to a blender and blend until combined. Pour onto the base then freeze until almost solid. Top with a layer of melted Raw Chocolate or Dairy Free Dark Chocolate. Either cover the whole tart of drizzle over the caramel. Freeze again until chocolate harden.